Tonight I went through my stash of ceramic tiles to see what I could come up with. 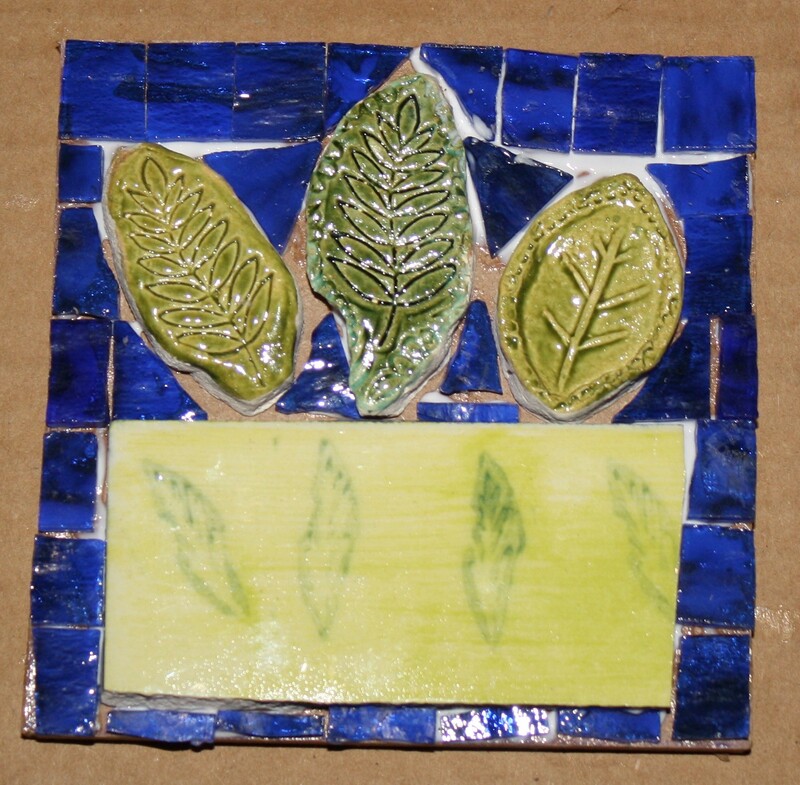 I came across the tile with leaves painted on it and then found the three leaf tiles. Then I just put them all together. The blue is very vivid; I love it! Thank you. I love the beautiful green trees against the blue sky. Nature created a great combination.